This is cimicifuga racemosa–or it was when I bought it. I think it now goes by actea racemosa. 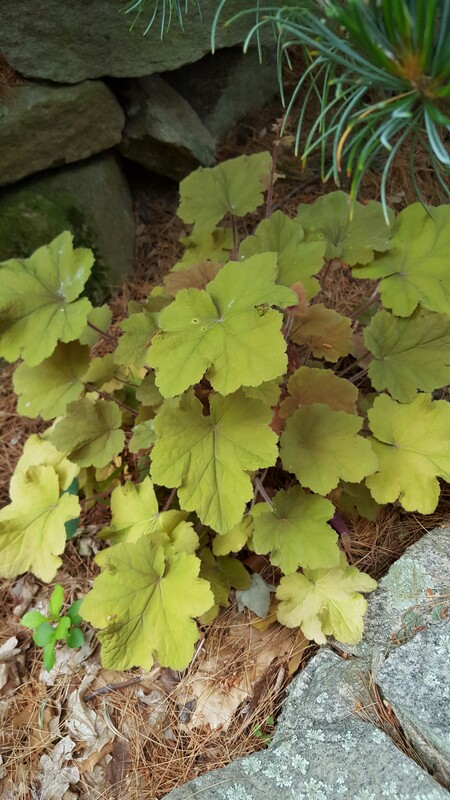 Regardless, it is one, big shade plant! There are lovely, smaller cultivars but this is the straight species and the pollinators adore it. You can see from the close up of the flower spike just how many little white flowers there will be shortly. And from the main photo, you see how many flower spikes there are. This thing is a pollinator magnet. This is another great plant for pollinators. Hummingbirds and small bees love these tiny flowers. 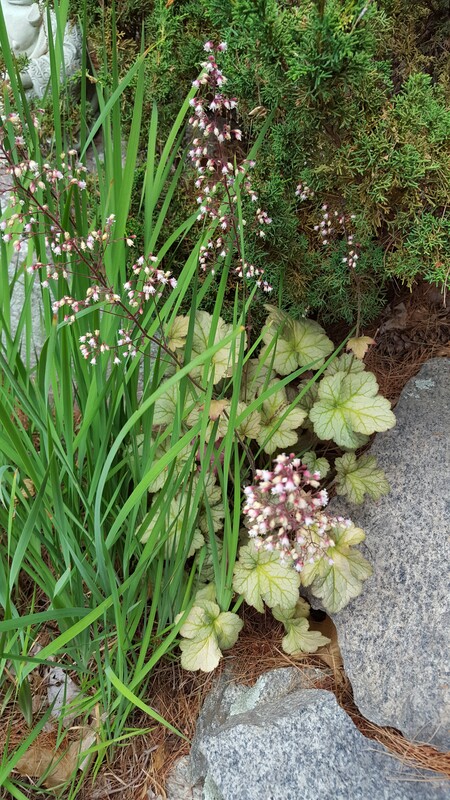 These are heuchera, also known as coral bells. They come in many different colors. Long time readers know that I will often rant about the lack of available information about these plants. 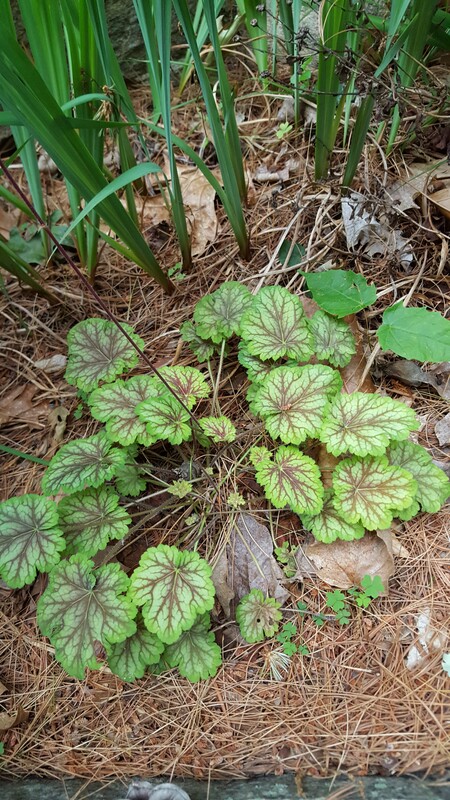 Because while many heuchera have native plant backgrounds, where they are native to can make all the difference. So if you don’t succeed with one, try another. There are lots of them out there. 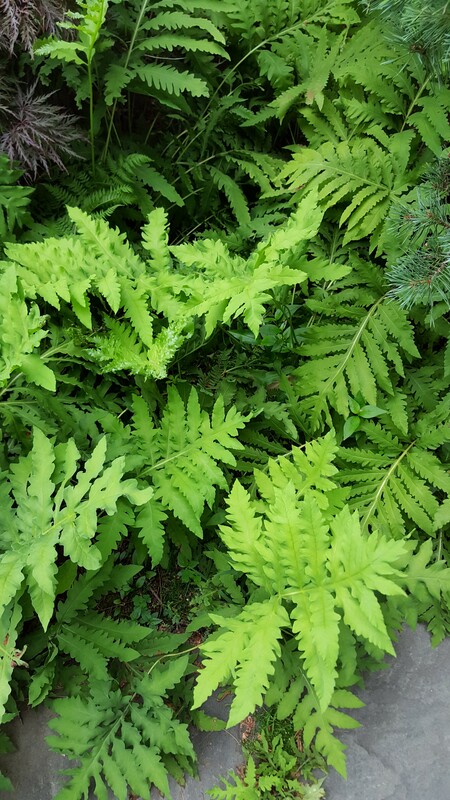 Another great native choice for shade is ferns. Ferns not only look cool but help give the garden a tropical rainforest look. Two that grow naturally for me are the sensitive fern and the American lady fern. Here they are growing together. The predominant fern is the sensitive fern in this photo. 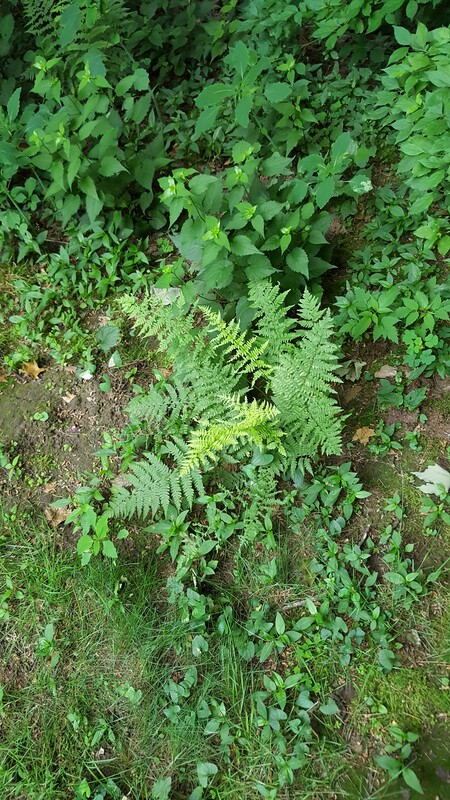 Here’s a lady fern coming up in a different spot, with some wood asters, at the edge of the lawn. Ferns, strictly, do not help or use pollinators except perhaps in the sense that they provide shelter or cover. But they do not provide nectar. 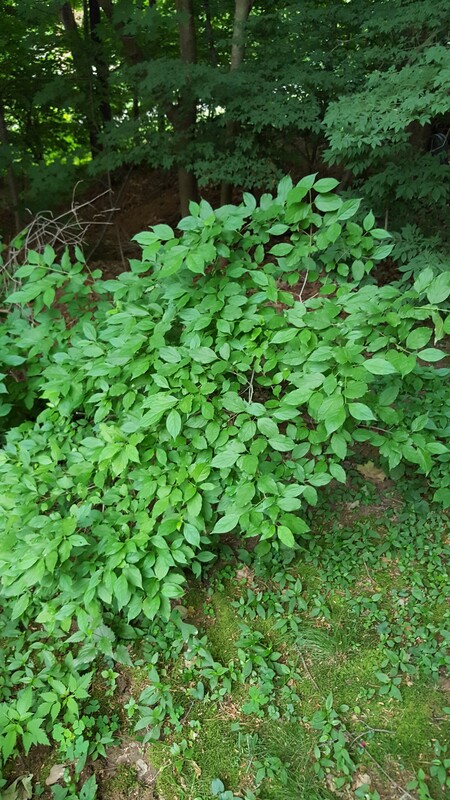 Finally a type of shrubby dogwood, the gray dogwood, is a bird magnet. It makes white berries in late August that barely last on the bush before the birds eat them all, leaving behind bright red stems. It is pretty unassuming now. This is what it looks like now. I hope this helps show that there are plenty of great native plants for pollinators that grow in the shade. Maybe add one or more to your garden this weekend! Next Article You Tell Me–Insect or Disease? 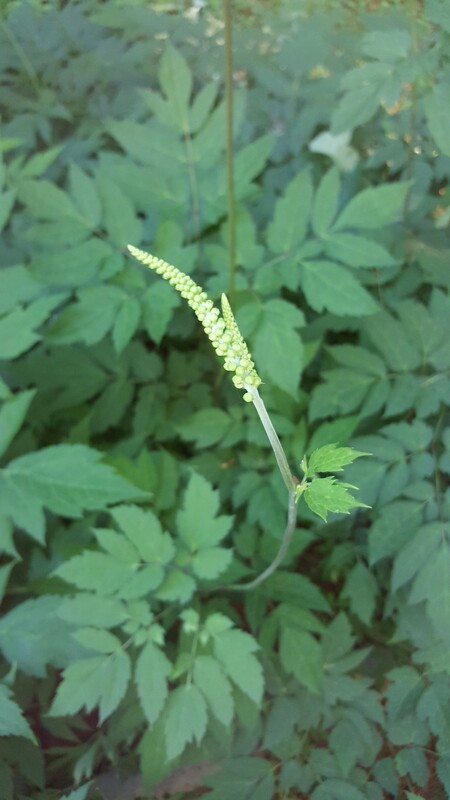 Is that first plant Bugbane? I have one in my garden. Do you know that I had to Google the common name of this plant because it has so many? And yes, bugbane is one of them. 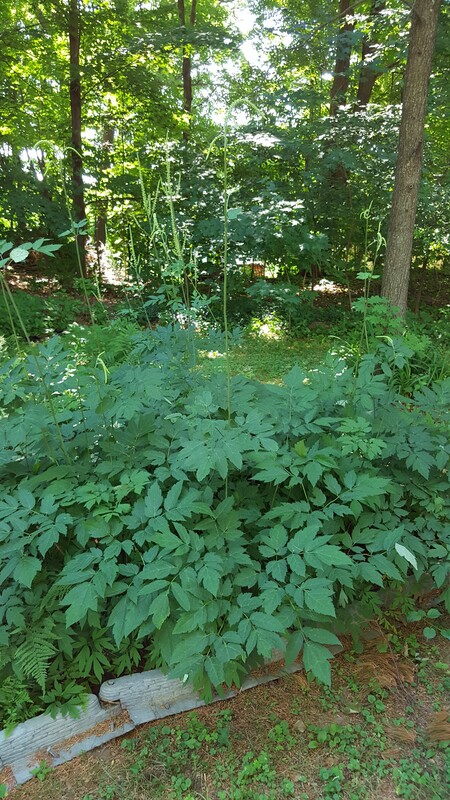 Several of the others are black cohosh, snake root–you get the idea. And every one is radically different from the others.